Mood regulation (balancing and stabilizing of mood) is the solution to lessen the risk of suicide. The "practise" of lessening this risk could be meditation, mindful movement or enlightened conversation (sometimes called psychotherapy). Tango has all three of these if the dance roles are allowed to be seen as a dialectical process of movement. The best therapy I know for chronically suicidal patients is called Dialectical Behavior Therapy (DBT). Tango has similar salutary effects for mood regulation or the "balancing" of our mental well-being. Once you understand a little about DBT, you will see more clearly why tango can bring you so much mental balance. Although I love other dances too, I believe that tango is especially powerful type of dance because of its tandem (dialectical), improvisational expression. The state that tango creates is a type of "mindfulness-flow." DBT is helping many chronically suicidal patients get over their high risk status and to live productive lives. As I was being trained in DBT, I immediately saw tango in a new light. Tango and Dialectical Behavioral Therapy have two powerful components that helps people regulate their emotions--especially the moods that comes out of sad or tragic events in their past. (Welcome to being a human being and traumatic personal histories for many of us.) In other words, DBT with a trained therapist or tango-as-therapy can both regulate our emotions in similar ways. The dance roles are “dialectical.” They are extremes of thesis and antithesis which create a synthesis (harmonious dance). 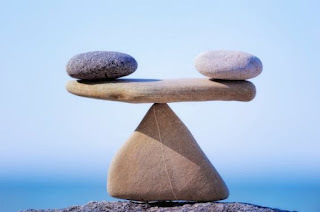 DTB patients learn to balance two extremes in their inner thoughts and come to a synthesis--a harmony of thought. Second, Dialectical Behavioral Therapy helps suicidal patients* learn mindfulness skills. Both of these combine, and have helped decrease deaths and chronic in-patient admissions for suicidal feelings or attempts. Most tango dancers understand the power of tango's connection with its dialectical nature and mindfulness aspect. The sheer joy one can experience by dancing is "therapeutic." Tango--not a conversation or debate but “dialectic." Have you ever watched a debate and both parties had extreme positions? The debate process is not the dialectical method. Nor is the Socratic Method dialectical. Those in a debate are not attempting to find a consensus; no middle position is valued. In the Socratic Method, truth is the most important thing, and emotion is a problem. 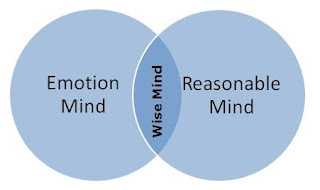 Now that we know more about the brain, the rational/reasonable mind does not bring us to truth (good decisions). People who have physically damaged emotional centers in the limbic area of brain are not adept at finding truth (making good decisions). 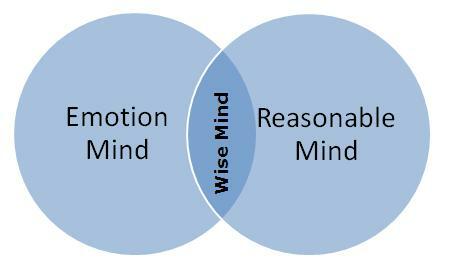 Now that we know more about the brain, we know that wise decisions are made by creating a synthesis between our emotions and our best rationale thought. Socrates did not know this, and undoubtedly did his best thinking when he balanced how he thought and how he felt about the Truth! This synthesis of the emotional and rational parts of our thinking process, or middle ground is the heart and soul of the dialectical method. Tango is the synthesis between the two wonderfully distinct roles. The best dancers are themselves balanced--not extremes and do not discount their own or the other's role. Improvisational tandem dance is potentially a great therapeutic intervention in the right setting (a good community and/or in a private session with a therapist leading the two dancers). Now, let's add the second element to the dialectical process . . .
Mindfulness is the second component of therapeutic tango (tango that's good for you). Dialectical Behavioral Therapy (DPT) also has "mindfulness" as the second component of the most effective treatment for seriously suicidal patients. Tango can be a meditative walk for two. Tango, as I try to practise it, is full awareness of breathing that is no different than meditative breathing or the flow of breathing in tai chi. Tango is awareness of synchronizing with another person, which has the same effect of musicians and singers harmonizing with others. If you find tango to be therapeutic, you are probably experiencing these mindfulness experiences and therapeutic elements in your tango. Earlier I wrote about what happens in mindfulness practise and tango as measured in cardiac coherence. 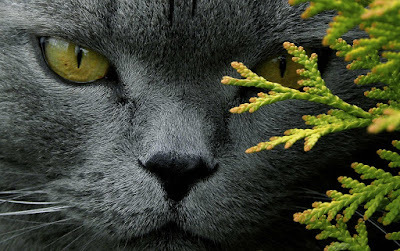 Mindfulness regulates and balances one's moods and mental well-being. Do you want more well-being and a balanced, well-regulated mood throughout your life? Then apply these techniques to all that you do in life. They say that as in life, so in tango. Turn that around! Say, "As in tango, so in life. . . I have made my life--harmony in movement, balanced, connected to others and full of joy." Do you know someone who has been chronically suicidal? Dialectic Behavior therapy has brought new hope for people suffering from the diagnosis of Borderline Personality Disorder (BPD), who were believed to be rarely "treatable” at an earlier time. DB Therapy has helped these often Borderline suicidal patients get over this dangerous condition. Graphic: Wise mind, Mark Word.